Aspirinox Alloys Inc has proved to be the leading producers, exporters, and traders of 16Mo3 Sheets and Plates due to their unfaltering perseverance and service. Because of its impeccable features like outperforming mechanical properties and crawl resistance, the 16Mo3 Sheets and Plates is employed in a large number of industries. 16Mo3 Sheets are used as wieldable steel in modern boilers and steel pressurized vessels found mainly in the concoction and oil industries and are extensively used to perform and deliver functions at high temperatures consistently. 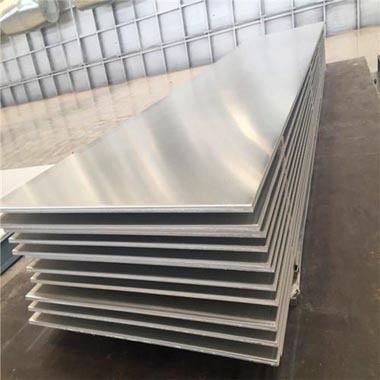 16Mo3 Plates are chrome- molybdenum based steel plates which have the capability of resistance to the warmth and has corrosion safe features Android used predominantly in boilers with lifted temperatures. 16Mo3 Hot Rolled Sheets & Plates are the extremely heat-resistant varieties of Sheets and plates available in ASTM standards and composed mainly of molybdenum and manganese and chromium. 16Mo3 Cold Rolled Sheets & Plates are high cold and corrosion resistance due to the high percentage of chromium and molybdenum in its chemical composition. The 16mo3 chemical composition has high weldability and good cold forming properties and applied in pipe transporting hot liquids. 16Mo3 Perforated Sheets brings 29% of energy savings and wear resistant and sturdy. 16Mo3 Chequered Plates are having the high tensile strength and are produced dimensionally accurate, with rust-resistant features, high strength and is applied in the petroleum industry and oil refineries for storing bulk quantities of oil. The exemplary Alloy Steel Plates catalog is available at affordable prices to discover the best products. Take a tour of the entire catalog at our official website for best service. Enlighten us your requirements and we shall cater to your needs. Specifications for 16Mo3 Sheets & Plates. If any specification is not mentioned here, please use the contact button for quick quote. Request the latest 16Mo3 Sheets & Plates List. Please click on the request a quote button or click here to request the updated price list and ready stock information along with your requirement. Aspirinox Alloys INC maintains a stock of all standard items and can export them at the best price for 16Mo3 Sheets & Plates.